Hi everyone! We’re recovering yet another one of KC’s posts on Star Cards. All credits go to KC! Please credit him if you intend to use this outside of SoShi Catalogue. so once your binder is all done, you’re ready to get your cards ready…. now, the reason i recommend having 2 copies of each card is so you can do the following… fill up two sheets identical of each set of cards like the below pics… when flipping through your final binder, you will be able to see both the fronts and backs simultaneously which is pretty nice…. 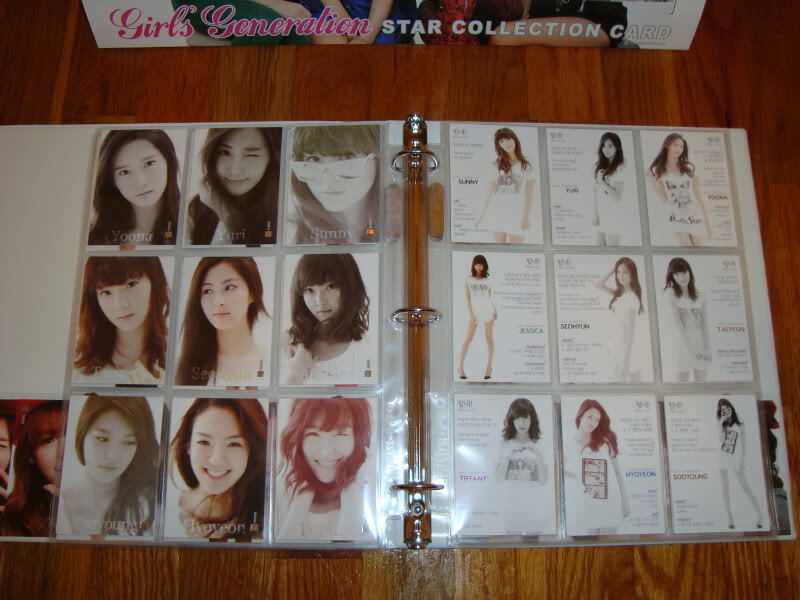 hello~ do u know where i can buy the binder? what is the size of the pages/ cards inside? i mean the plastic where you will insert the cards?